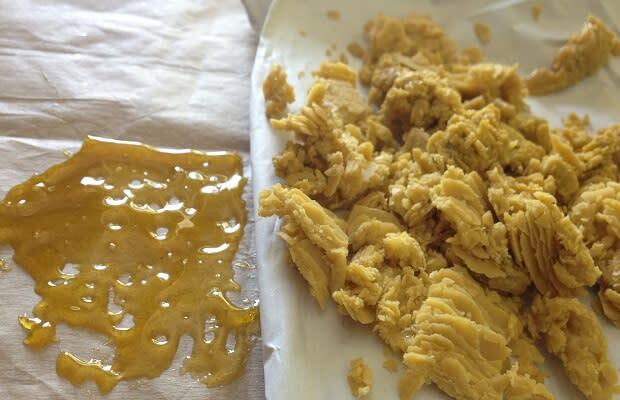 Some medical marijuana dispensaries are carrying marijuana wax because patients need the high potency. In that same piece about Josh and his bad wax trip, the Los Angeles Daily News spoke to Robert Lunch, who used to volunteer at the Highway 29 Health Care dispensary in Vallejo, Calif. He said that several local dispensaries carry wax because patients with higher tolerances need a stronger high. Fox Los Angeles spoke to several medical marijuana patients who were wax advocates. One, named Tim, told them that he suffers from an esophagus disorder that makes him choke on food and is akin to what drowning feels like. Though he can barely wait a half-hour for the substance to ease the pain, he's also cautious because of the inclusion of butane. He says it will taint the wax with leftover residue because unless it's highly-filtered, it's "poison," as he put it, to anyone with a weak immune system.